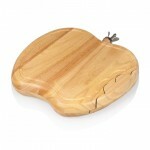 The Apple by Picnic Time is the ideal accessory for your next cocktail or dinner party. 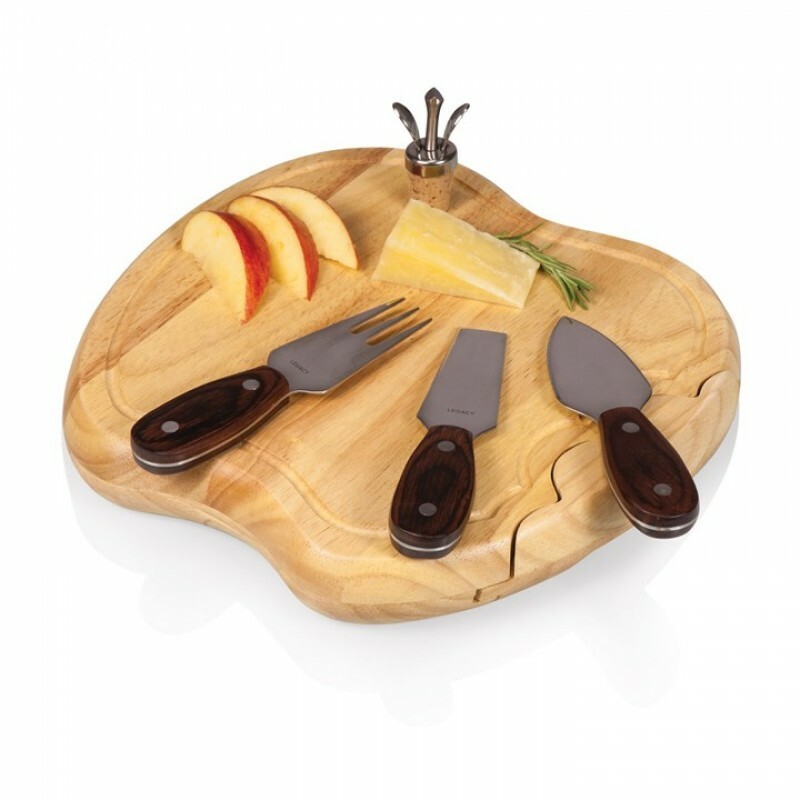 It's an apple-shaped cutting board with a stem and leaves-shaped bottle stopper and three stainless steel cheese tools. The Apple measures 10.5" x 10" x 1.5" and is made of eco-friendly rubberwood, a hardwood that's known for its durability and beautiful grain. The bottle stopper is made of nickel-plated alloy, which sits at the top of the board in its own nook. 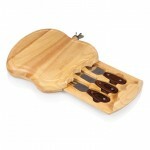 The pull-out drawer is designed to resemble a bite mark in the "apple" and houses the three cheese tools inside: 1 double-edged hard cheese knife, 1 cheese fork, and 1 blunt-nosed soft cheese knife, all with handles made of dark resin-stabilized wood that is durable and beautiful to the eye. Look closer and you might think you're looking at apple seeds! 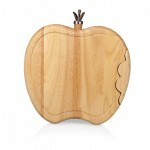 The Apple makes a lovely gift for those who enjoy entertaining in style. The pull-out drawer holding three stainless steel cheese tools is shaped like a bite mark in the "apple"